In what looks to me like one of the more ambitious marketing efforts since the production of those never shown Plan B vs. 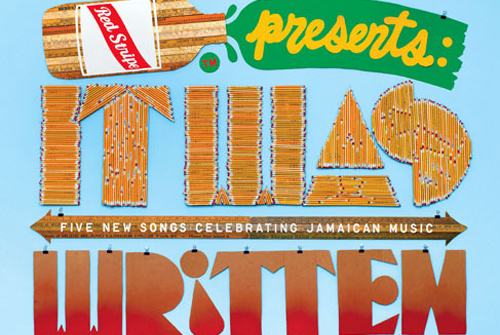 Afflicted Yard TV commercials (1, 2, 3), Red Stripe celebrates “the worldwide influence of Jamaican music” with a free 5 track EP called “It Was Written”. It will be available for download at www.thefader.com/redstripe on Monday, June 15th (via The Fader). P.S. In other favourite female artists news, Natalie Storm got a nice feature on Dancehall.Mobi and Lexie Lee released part 2 of her “Lexie Loves” video podcast series: “Lexie Loves Vietnam“.